We have a new color - Teal, and the first new image of 2014. Our new teal color is available now on a lot of our products. Of the twelve images available in teal, we especially like the Hokusai Wave, Paisley and Cloud Dragon. 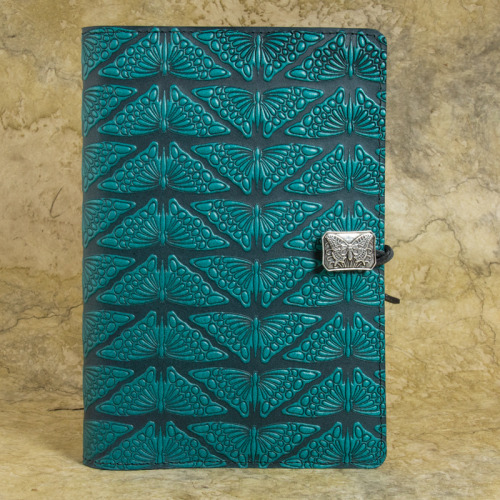 The new image is called “Mariposas” (“butterflies” in Spanish) and is available now on large and small journals in Teal, Wine & Orchid. Let us know how you like it and what other covers we might make with this image.